I sat down with Senior Director of Qlik Consulting Solutions Mary Pitzer to find out how. Anyone familiar with Qlik knows you can build custom applications for just about any possible use case at a fraction of the cost and time compared to traditional BI approaches. But as much as you can do with Qlik, it always helps to start with something that mimics your use case so you can see the art of the possible and speed up your project even further. That is why Qlik has heavily invested in both industry and functional solutions. Qlik has a global group of solution experts who capture the most common use cases and help them come to life through demonstrable apps and associated case studies. It’s also one of the many things that sets Qlik apart from the less mature visualization vendors. A significant amount of Qlik solution content is available for your self-service use. For example, the QlikView demo site has roughly 80 apps and the Qlik Sense demo site is rapidly growing and now includes approximately 20 apps. Qlik also hosts close to 150 partner solutions on Qlik Market, plus the developer community can share and leverage open source extensions such as D3 visualizations on Qlik Branch. Not to mention Qlik maintains connectors to the most common data sources including Salesforce and SAP. Q: So, what are Qlik Accelerators? Mary: Qlik Accelerators are pre-built analytical applications that Qlik Consulting Services can leverage to help our customers accelerate building custom-built applications. Over the years, our Consulting Services team have helped thousands of customers build custom applications. Many customers across many industries tend to utilize similar known performance indicators (KPI’s) and business insights. We realized that we could help our customers by providing some of these in pre-built applications that can help our customers get up and running even faster, improving their return on investment. 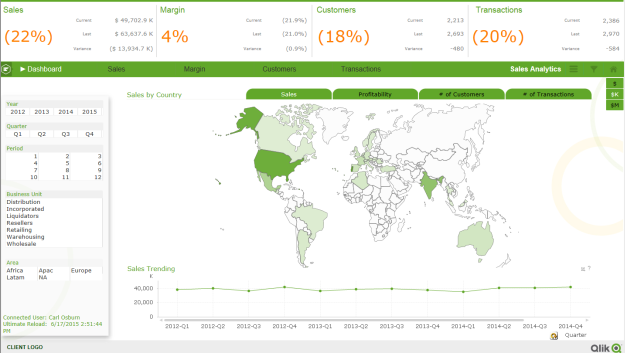 Looking for a kickstart to your #analytics with a custom-built #Qlik app? We have the details! Q: What kinds of Qlik Accelerators are currently available? Mary: Today, we have two Accelerator offerings. The first, Sales Performance Accelerator, has two modules that support both historical sales and margin analytics as well as sales pipeline and forecasting analytics. 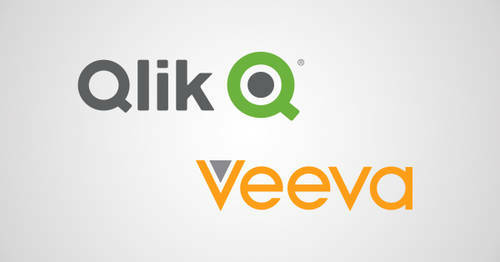 Both of these applications are highly requested and often-built applications by Qlik Consulting Services. By utilizing these accelerators, customers can very easily see their historical sales trends and how that compares to where the opportunities are heading; quickly identify whether there are enough opportunities in the pipeline to fulfill their forecast and quota; and highlight the business segment/channels, territories, or product lines that are driving the majority of their business (and which are not!) We are also working on a third module that will provide deeper insights into your customers/accounts utilizing communication and activity history as a means to qualify accounts for future opportunities. We also have a Travel Insights accelerator that analyzes a company’s travel buying behaviors around air, hotel and transportation. We have KPI’s and pre-built analytics to highlight purchase patterns and travel routes that can very quickly provide insight as to what a company can do to reduce their travel spend. 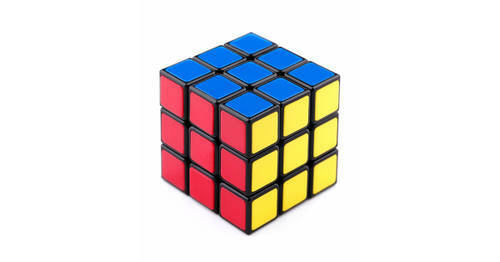 Our first customer to use it was able to quickly identify over a $3 million cost savings! Q: Many of the ‘stack vendors’ provide their own BI apps on top of their underlying systems. How do these Qlik Accelerators differ? Mary: Most traditional stack vendor apps come with a pre-determined data model and canned reports. That’s great if your requirements exactly match what they offer or if you only need simple reports. But in nearly every real world customer situation, customization is required and that can lead to lengthy and expensive projects. With Qlik’s Accelerators, you get a reference data model and analytical apps but they are highly adaptive and it’s expected they would be tweaked for each and every customer. The end result is a more robust solution that can combine data from any source while giving the user a visual analytics capability that is much more than just a ‘report’. Q: Will you be providing other Accelerators in the future? Mary: Absolutely! We are currently assessing our accelerator roadmap, looking at different industry and functional areas, such as Supply Chain and Financial Services. These are also business areas that our Consulting Services team has a lot of experience developing customer applications, and through analytical applications, able to identify opportunities for cost savings. Q: So, how can readers learn more? Mary: Our customers can work with their Qlik Account Manager who will help them engage with our Qlik Consulting Services. We can provide an overview and demo of our accelerators, including a discussion on how an accelerator can be implemented for your particular business. Or you can also email ConsultingServicesGlobal@Qlik.com.